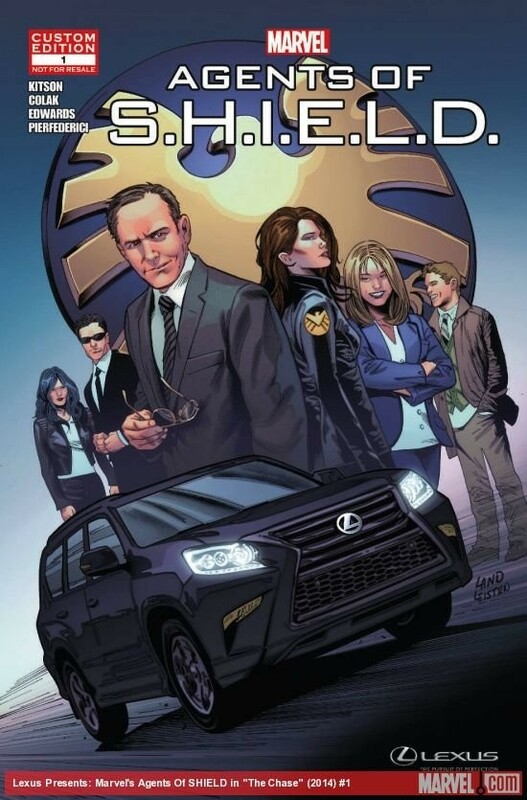 Preview Lexus Presents: Marvel's Agents of S.H.I.E.L.D. in the Chase at San Diego Comic-Con | Marvel's Agents of S.H.I.E.L.D. Heading to San Diego Comic-Con? Catch a preview of the exclusive Marvel's Agents of S.H.I.E.L.D. comic featuring the Lexus GX and pick up your free copy at the Marvel Booth (#2329) while supplies last! Lexus Presents: Marvel's Agents of S.H.I.E.L.D. in the Chase is the previously untold story of the fallout from the mission to save the S.H.I.E.L.D. Academy from a rogue weather machine, seen in the Season 1 episode "Seeds." The mission left one cadet dead and another destroyed. As Agent Coulsen and crew face off with evil billionaire Ian Quinn, they are determined to get revenge. Just what are they up against? Check out this clip from "Seeds" and see for yourself.